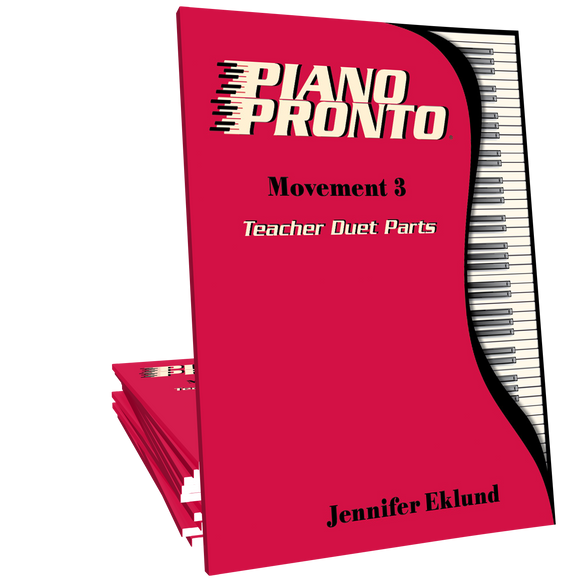 Teacher accompaniment parts for all of the pieces from the Piano Pronto Movement 3 method book by Jennifer Eklund. These performance-ready, contemporary accompaniments make for great rhythmic reinforcement for students and will be showstoppers at your next recital. 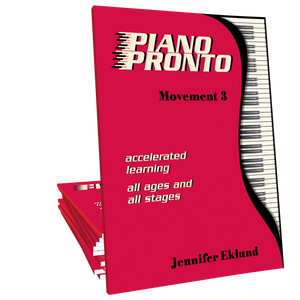 Fresh, contemporary duet parts for all of the pieces in the Piano Pronto Movement 3 method book! 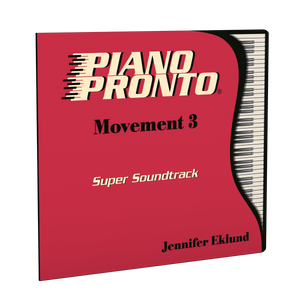 These duets will delight students of all ages and help to reinforce their rhythmic skills. 44 pages.